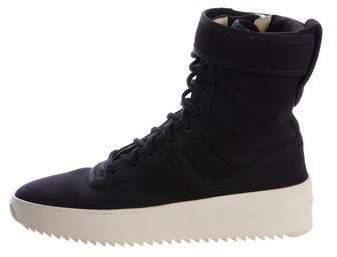 In Stores Now. 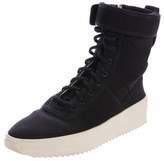 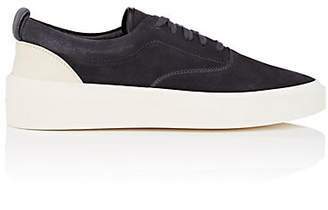 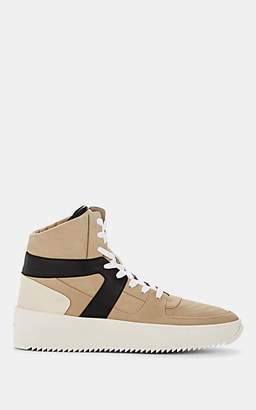 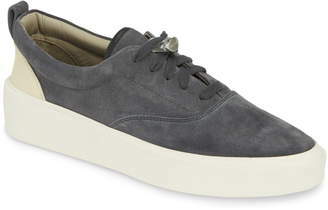 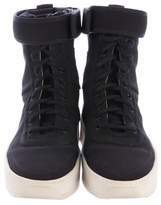 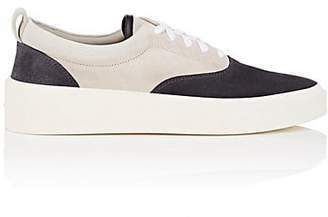 Men's black nylon Fear Of God round-toe Military sneakers with silver-tone hardware, perforated details at vamps, zip accents at sides, pull tab at counters, platform rubber soles and lace-tie and velcro strap closures at uppers. 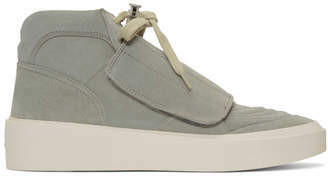 Includes box, dust bags and additional laces.